Be the first to share your favorite memory, photo or story of Giles. This memorial page is dedicated for family, friends and future generations to celebrate the life of their loved one. Giles Leo Smith, age 81, died Sunday, July 1, 2018 at home in Eau Claire, WI. Giles was born April 4, 1937, in LaCrosse, WI to Catherine Heiser. 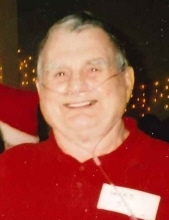 He spent much of his adult life in the Eau Claire area. Giles enjoyed many activities over his life, including baking, painting, going out to eat, fishing, dances, camp, and visiting with friends. A special thank you to the people at Aurora Residential, St. Croix Hospice, and the Arc Eau Claire, Inc. for their care and support of Giles. Giles is survived by his sons, Michael and Dan Smith. Giles was preceded in death by his mother, Catherine. Giles will be greatly missed by all who had the honor of working with him and being part of his life. A memorial service will be held Monday, July 9, 2018 at 11:00 A.M. at Stokes, Prock and Mundt Funeral Chapel with luncheon to follow. A visitation will be held from 10:30 A.M. until the time of service. Interment will take place at the Oak Grove Cemetery in Eau Claire following the service. "Email Address" would like to share the life celebration of Giles Leo Smith. Click on the "link" to go to share a favorite memory or leave a condolence message for the family.